We finally figured out our technical difficulties and by figured out we actually mean that we just happened to get lucky and actually have no idea what really fixed the problem. But, anyway, here is the inspiration board we promised this morning. 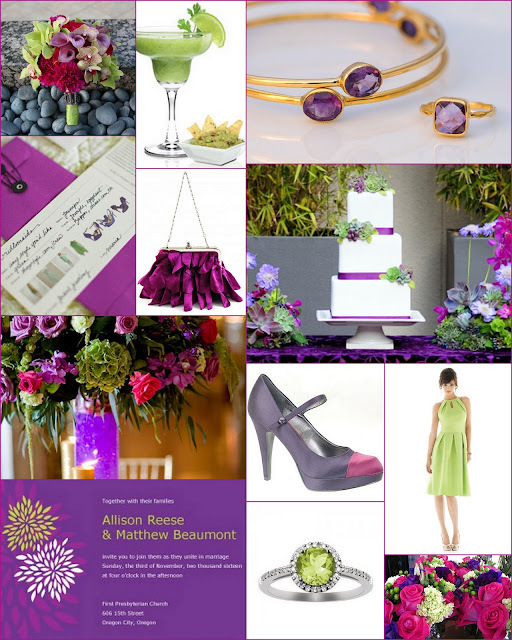 Cheerful fuchsia is paired with cool purple and a bright, apple green for a color combo that is unusual, yet striking. According to TheKnot, this is one of the hottest new combinations for the year!